Cars like the Cyclone Spoiler II were designed to put some pep into Mercury’s high-performance image in the muscle car era. 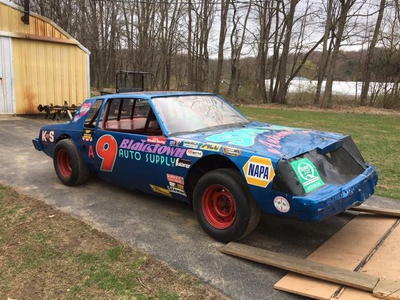 When NASCAR Grand National stock car racing teams tested the new 1968 body styles, they found the Mercury Cyclone fastback to be a bit faster than its Ford Fairlane fastback counterpart. A more aerodynamic nose design was said to be the reason. When Cale Yarborough drove the Wood Brothers Cyclone to victory in the Daytona 500 in February 1968, the battle of the NASCAR noses was on. Dodge countered with the Charger 500 for 1969. 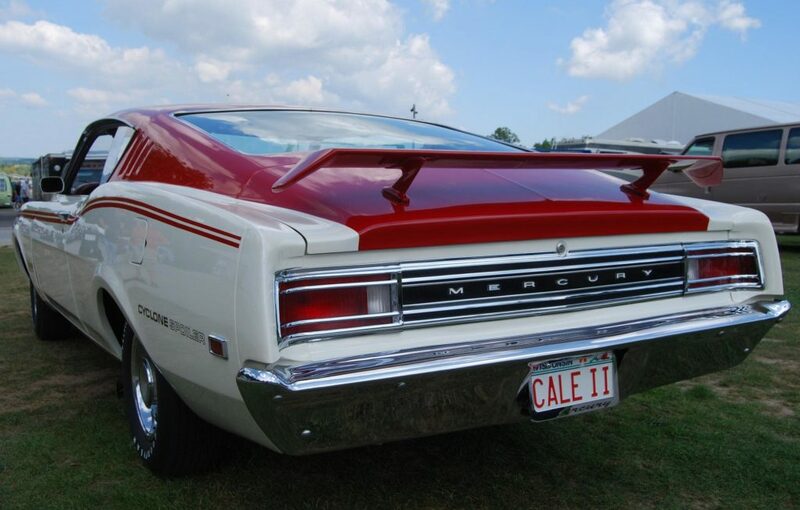 Ford forces fought back with the Torino Talladega and Mercury Cyclone Spoiler II. Both featured flush grilles and extended noses. The Talladega was fairly simple, but the Cyclone Spoiler was not. Mercury announced the Spoiler as a midyear model to go on sale in January 1969. 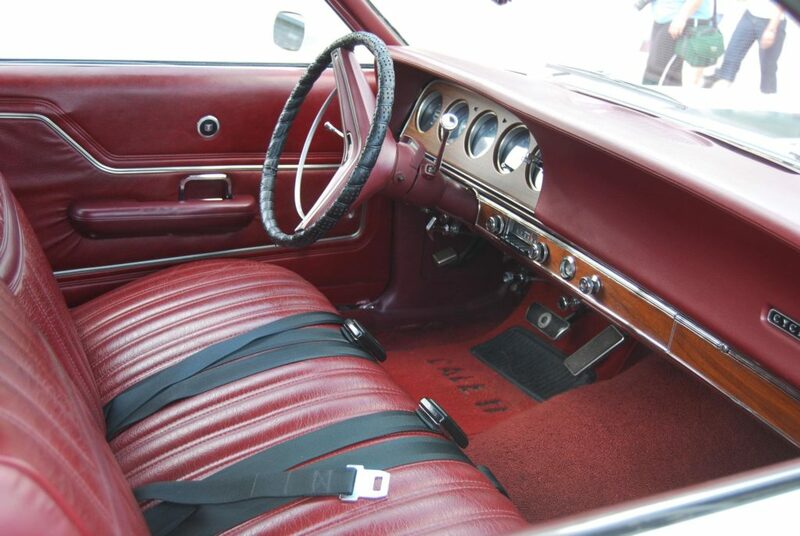 The main feature in early information was a spoiler bolted on the trunk deck. It was nice, but the device was not legal in NASCAR at the time. Originally, an extended nose similar to the Talladega was to be an option. After considerable confusion, the long-nosed Spoiler came to be known as the Cyclone Spoiler II. A total of 519 were made, all with the 351-cid four-barrel V-8, despite an announcement that there also would be a 428-cid Cobra-Jet Ram-Air option. At least 500 needed to be produced to qualify the car as a production model so it could be raced. Cyclone Spoilers came in two trim versions. A “Dan Gurney” Spoiler had a dark-blue roof, dark-blue striping and a signature decal on the white lower portion. 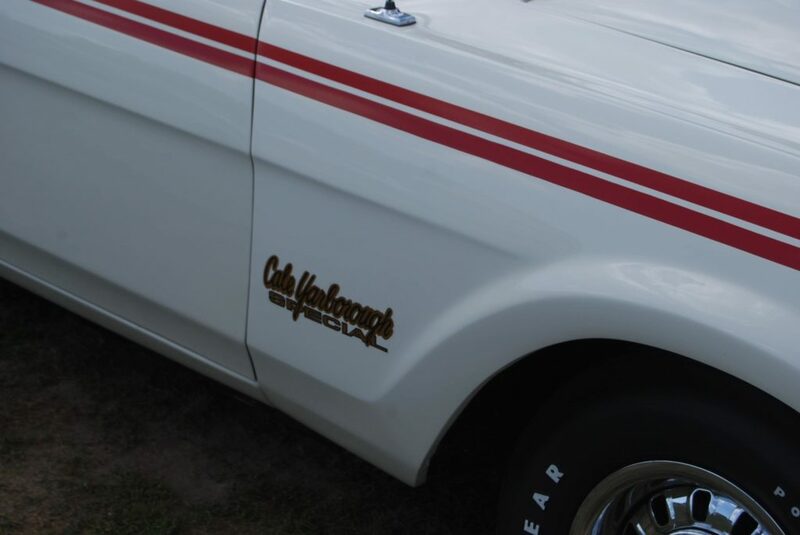 A “Cale Yarborough” edition featured red trim similar to his Wood Brothers stock car. It, too, had a signature decal. As it turned out, the Spoiler wasn’t declared legal in NASCAR until the Atlanta 500 on March 30. This put Cyclone pilots in Talladegas for the Daytona 500 race, which was won by Lee Roy Yarborough in Junior Johnson’s Talladega. Yarborough turned out to be the year’s hottest driver, but his Spoiler season was short since Ford was worried that it wouldn’t win the manufacturer’s title. As a result, the company put him back in a Talladega at mid-season. The aerodynamic wars got hotter late in the season when Dodge announced the Charger Daytona and later the cartoon-inspired 1970 Plymouth Road Runner SuperBird. The latter helped Plymouth snag Gurney to drive its racing cars. The featured car was photographed at the Fall Vintage Festival at Road America, in Elkhart Lake, Wis. This car was originally built at Ford’s Lorrain, Ohio factory and was shipped by rail to Uptown Motors on Mayfair Road, in Milwaukee, Wis. 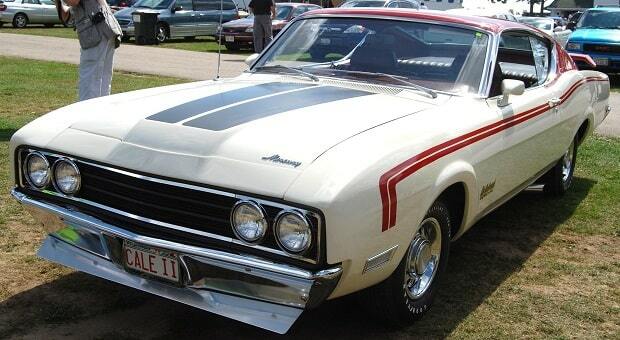 The basic Cyclone two-door hardtop model had a list price of $2,771 and included the white paint with red trim for this car. A 351-cid four-barrel V-8 engine was a $101.10 option. 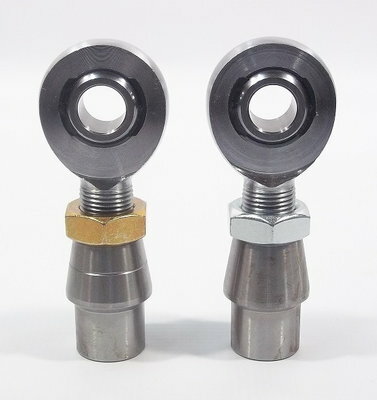 The Cyclone Spoiler II package listed for $393.90. According to the factory window sticker, it included the unique Spoiler II front end, a 3.25:1 high-performance rear axle, the two-tone roof and rear deck lid paint treatment, the hood stripe, Mercury’s “Cross Country Ride” suspension package, body side sport stripes, styled steel wheels, racing type outside rear view mirrors (with remote control on the left-hand mirror and a stationary right-hand mirror), the read deck lid spoiler and a vinyl steering wheel cover. A Select-Shift automatic transmission was $206.10 extra. Other options ordered for this particular car included a set of four F70 x 14 fiberglass belted tration tires for $94.60, power steering (also $94.60), power front disc brakes for $64.80, an AM radio for $60.90. With the Spoiler II modifications the totyalk option cost was $1,016.00. With transportation charges of $53.50, the total cost of this vehicle was $3,840.50. Dr. John Craft, writing in Musclecar Review in January 1989, said, “Just in case new engines weren’t enough to worry the Dodge and Plymouth drivers, Mercury homologated its own version of the long-nose Talladega design with a run of similarly configured Cyclones.” The Cyclone II Spoiler was good for 0-to-60 miles per hour in 7.4 seconds or a 14.4-second quarter mile at 99 miles per hour. I recall one of these rusting in a yard beside a shop in the early 80’s.